I have successfully graduated with the Diplôme de Pâtisserie. I am back in Vancouver, BC, Canada and available for macaron classes. Merci beaucoup to my dear family for supporting me yet again on making my dreams become reality. If you are interested in strolling the streets of Paris, visiting exhibits and museums, gazing at the local pastries & food and knowing about daily life in Paris with a young child, eating our way through Italy and France, please follow me on FaceBook. Are you an avid baker who is wanting to try your hand at making Macarons or have you tried it before, but was unsuccessful? Everyone who comes to our Macaron lessons, leave with big smiles on their faces and 20 beautiful macarons in their hands. A lovely event for bridal showers, bachelorette parties, birthday parties, "ladies night" parties, corporate team building events too. 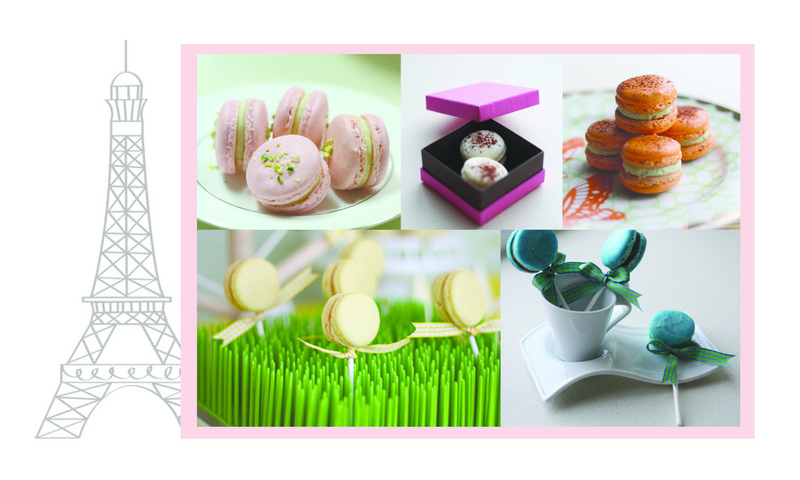 Gift certificates are available for Macaron Baking Classes too. For an additional $15, it comes in a keepsake Macaron Ring Box and your choice of cards...Valentine's Day, birthday, anniversary, thank you or bridal/baby shower cards. Click here to see our pricing, packaging and min. orders. Give your favourite foodie the gift of authentic French Macarons. BONUS: Add a Celebration card for only $5 more. Your choice of: congrats on your engagement, wedding, bridal or baby shower, congrats on your pregnancy, happy anniversary, happy birthday, happy travels, new home, or romantic theme. Have you ever tasted such a heavenly delight? J'adore les Macarons is located in Vancouver, BC creating authentic French Macarons, lovingly one at a time.... made with secrets from Paris. After a 10 year love affair with Pierre Hermé's and Laduree's macarons, I finally had the opportunity to fly to Paris to specifically learn the art of baking French Macarons. I'm so excited to be able to share with you. Here's a most fitting description of French Macarons by Monsieur Pierre Hermé himself: "Macarons only weigh a few grams, but that’s enough to leave your senses quivering with pleasure. Their thin, crisp shell, slightly rounded shape, tempting colours and tender interiors draw devotees to devour them with their eyes, and caress their smooth surface. Their flavours solicit the nose and, when one bites into that crisp shell, the ears tingle with pleasure and the palate is finally rewarded." And I couldn't have said it better myself! Did you know that our French Macarons are gluten free? Celiacs can indulge and rejoice in these luxurious morsels. If you are are allergic to dairy, our lemon macarons are made just for you.